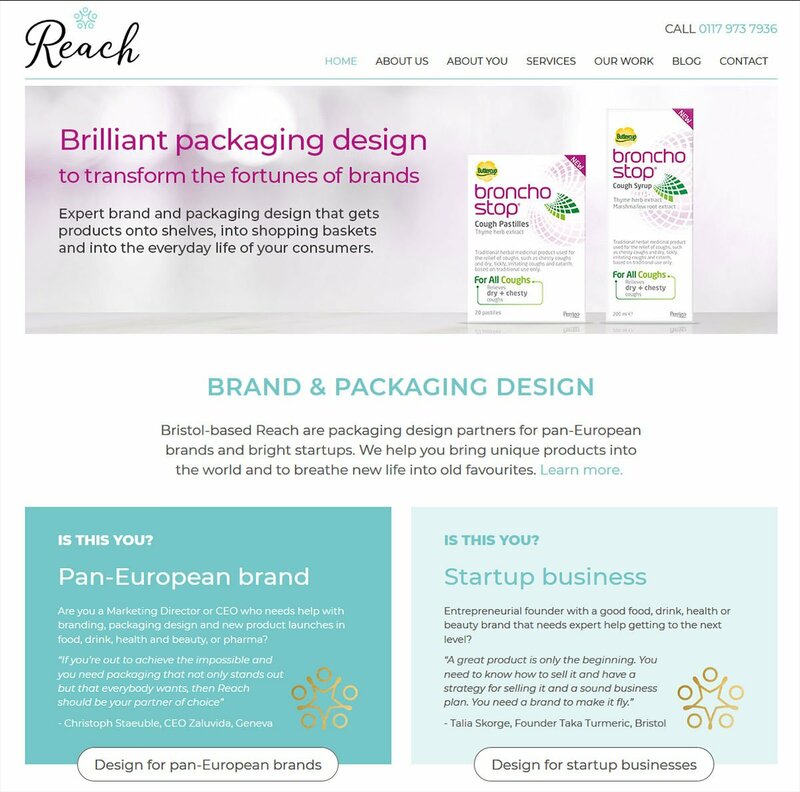 Reach are a boutique design consultancy based in Bristol specialising in brand and packaging design. They approached us with a strong site plan and with specific ideas of how they wanted the website to look. We worked in conjunction with Creative Cadence who provided the design and branding and Valuable Content who wrote the copy. Reach were involved throughout the whole design and build process to ensure the final result was delivered on time and to plan. Andy, you make what seems impossible to me, sound like a breeze to you. Thank you for not complicating what could have been very daunting. And for delivering a website that works brilliantly and true to the vision.